Dejan Draschkow & Melissa L.-H. Võ: Incidental learning during natural tasks creates reliable long-term memory representations which proactively guide behavior. Lisa Voelker, Dejan Draschkow & Melissa L.-H. Võ: Searching for meaning: Using pseudoword cues to investigate the formation of new object-word-connections in Virtual Reality. Dejan Draschkow, Edvard Heikel, Melissa L.-H. Võ, Christian Fiebach & Jona Sassenhagen: Semantic processing in scenes and sentences: Investigating shared neural patterns using MVPA. Aylin Kallmayer, Dejan Draschkow & Melissa L.-H. Võ: Investigating viewpoint dependence in object recognition using depth rotated 3D models in a sequential matching task. Saliha Reinecke, Dejan Draschkow, Sage E. P. Boettcher & Melissa L.-H. Võ: The impact of semantical relations on template activation. Leah Kumle, Dejan Draschkow & Melissa L.-H. Võ: May the power be with you: Pilot data based simulations for estimating power in mixed models. Sandro Wiesmann, Verena Willenbockel, Frédéric Gosselin & Melissa L.-H. Võ: Spatial frequency tuning for scene categorization: The role of scene type and categorization level. Dario Stänicke, Dejan Draschkow & Melissa L.H. Võ: All beginnings are difficult: Repeated search through Virtual Reality Environments. Jason Helbing, Dejan Draschkow & Melissa L.-H. Võ: Searching beats memorizing in creating memory representations for objects in realistic virtual environments. Melissa Võ, Sage Boettcher & Dejan Draschkow: Anchor objects predict search performance in real-world scenes. Tim Cornelissen, Jona Sassenhagen, Dejan Draschkow, & Melissa Võ. Considering rather than restricting eye movement characteristics in Fixation Related Potentials: an application of the rERP framework. 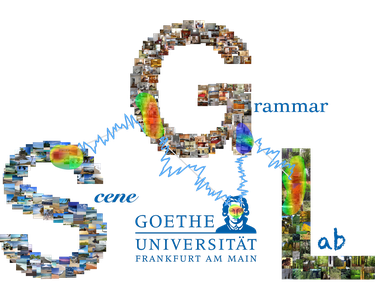 Peer Herholz, Verena Schuster, Melissa Võ & Andreas Jansen: A song of scenes & sentences: signatures of shared cortical resources between visual perception and language revealed by representational similarity analysis. Tim Cornelissen & Melissa Võ: Stuck on semantics: Irrelevant object-scene inconsistencies modulate ongoing eye movement behavior during letter search. Melissa Võ & Jeremy Wolfe: Let me tell you where you looked! How much do people know about their own fixations? Tim Cornelissen & Melissa Võ: Stuck on semantics: Automatic processing of object-scene incongruities modulates ongoing gaze behavior. Dejan Draschkow & Melissa Võ: Do it yourself! Active object handling leads to faster search times. Sabine Oehlschlaeger & Melissa Vo: Find the fork in the bedroom! Contextual cueing for semantic intruders. Sage Boettcher & Melissa Võ: Worth a look: The effects of irrelevant rewarding stimuli on eye movements.